Lately I’ve been drawn to historical tales: demented kings and wayward queens, the dissolute rich and the desperate poor. Not to mention corsets and banquets and music played on wooden reeds. I’m especially intrigued by characters who do something wrong. This is my beastie, which Tom bought for me on our honeymoon in Scotland. I always wear it. I did plays as a kid: Witch #3 at witch tea party. I flew a vacuum cleaner instead of a broom. I listen to David Bowie…a lot. My Dad was an artist. His miniature violin is one of my favorites. For more about my books, please visit my website www.alisalibby.com. If you have any questions you would like me to answer via email or on my blog, please email me at author@alisalibby.com. I’m happy to answer questions about my book, writing, publishing, fiction, travel, basset hounds, ice cream, among other various sundry topics. I hope you don’t mind, but I got your name from Lara (owner of Tudortalk, on Yahoo Groups). I asked her about authors who might be willing to blog with a new writer (never published), whose main interest is the 16th century. I was even more delighted to see that you write for the Young Adult audience. 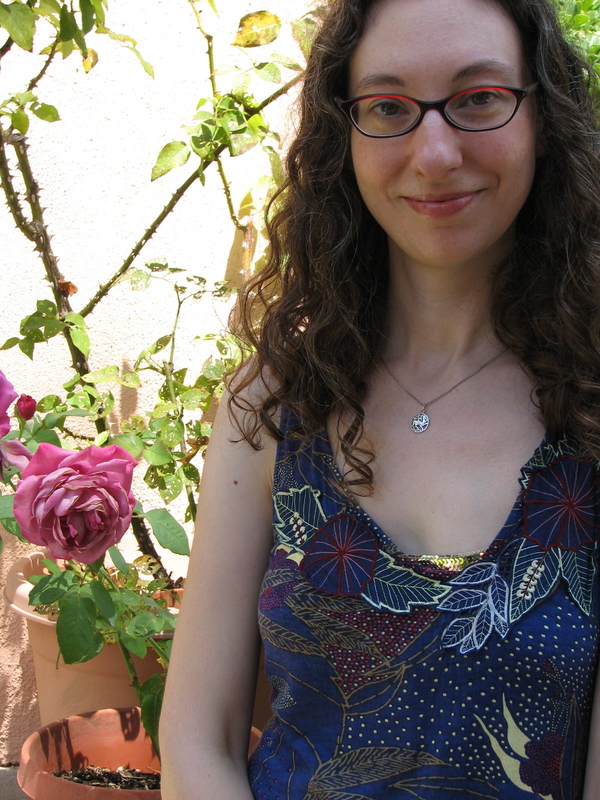 My main interest is writing for pre-teens & young adults. I live in St. Augustine, FL., and am working on a fictional retelling of the fight between the Spanish of St. Augustine & the French of Ft. Caroline (near present-day Jacksonville). My problem is getting myself to transfer my ideas of the scenes onto paper! I have the main characters and main plot idea, but not yet a sense of how I want to organize my story. I’d be grateful for someone to “blog” with, and get myself to get my story developed on paper. I’m an excellent writer (or so my German & English teachers & professors always told me), but I’m a procrastinator as well . If you wouldn’t have time, would you know of anyone who might be interested in blogging with me? Thank you Donna! I just posted a blog entry about how a story can feel perfect in your head, and then fall flat on the page – it’s perfectly natural. Feel free to email me with other writerly questions. I may want to address some of them on my blog! You can email me at alisa.libby@verizon.net. I have read The King’s Rose and I adore it! I am a 16 year old in Canada and am so thankfull to find a fictional/romance novel that didn’t have anything to do with modern era vampire falling in love with a human. You have no clue how many books at the stores were vampire books and you book was just a gem! I am fascinated by history and especially the lives of those in it,not always the wars and politics. I hope you write many more books because I would love to read them. 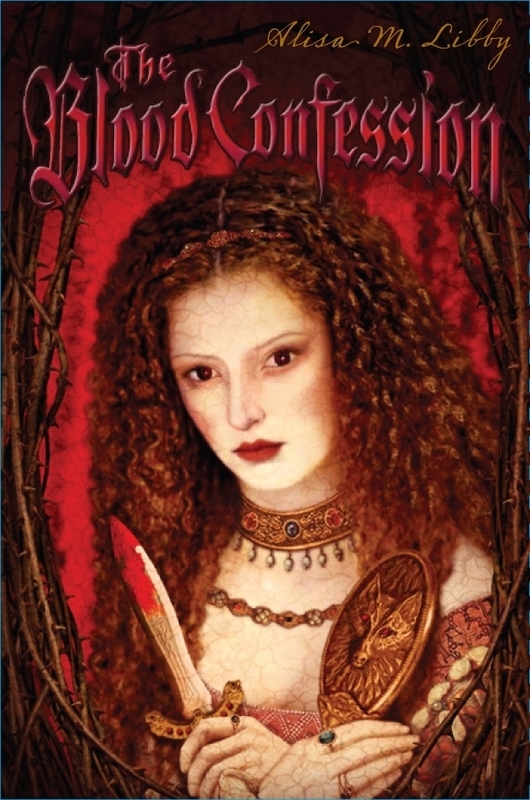 I also can’t wait to get your other novel “The Blood Confession”. Thank you, Christina! I’m so glad you enjoyed The King’s Rose; I certainly enjoyed writing it! You’re right, the market is overflowing with highly romanticized vampires these days – what a relief for me that my book stood out in the crowd. I agree with you about history: it’s the stories of the flesh and blood people who LIVED history that make it come alive for me. Such fascinating lives they lived, so very different from ours, and yet those emotions – love, rage, jealousy, greed, etc. – are so recognizable. Maybe humans haven’t changed much in the last few hundred years, after all? I hope you enjoy The Blood Confession. Please do visit and comment on my blog, it’s great to hear from you!